A recent fall accident in Chelsea sent a 2-year-old out of a third-floor window and down about 50 feet to the ground below. According to the Boston Globe, the young girl is expected to make it. Officers believe that the girl was playing with some of her friends on a bed in the home that was located next to a window. They believe that the window was left open and the young girl fell out and into the alley below. Officials have not determined if the child was supervised or not at the time of the accident. Just a week ago, a 2-year-old girl died after she fell from a third-floor window in Fall River. Our Chelsea injury attorneys understand that there are nearly 2.5 million children under the age of 14-years-old who are treated in emergency rooms across the country because of fall-related accidents. According to recent statistics, there fall-related accidents kill about 80 of these young ones every year. More than half of the injuries occur to children under the age of six. Window falls are some of the most serious of these kinds of accidents, especially for our young ones. Every year, nearly 20 kids under the age of 11 die from window falls. Another 4,700 kinds under the age of 14 require treatment each year because of these same accidents. Children don’t understand the dangers that are associated with heights. They’re also not able to calculate the dangers of playing near windows. Many don’t understand that there are risks of a dangerous fall. For this reason, it’s parents’ responsibility to keep a close eye on their young ones near windows and to make sure that all windows are properly guarded. Luckily, there are ways to help to keep our children safe near windows. According to the Boston Public Health Commission, parents, guardians and property owners are urged to safeguard all windows to make sure that children don’t have access to them and that they can’t get out of them! That’s why the state participates in the Kids Can’t Fly campaign, to help to educate communities about window falls, prevention and the use of child safety window guards. 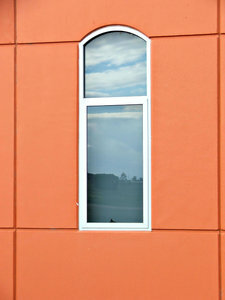 -Be sure to install window guards on all windows that are above the first floor. -If you have to open a window for ventilation, be sure that your child can’t reach the open window. -Make sure you have ground rules in your home and that children know not to play near windows. -Move your furniture away from all of your windows. -Never rely on window/insect screens to keep children from falling out of a window. They’re not strong enough and will not keep your child in. If you or your child has been injured in an accident in Boston, Chelsea or elsewhere in the area, contact Boston Injury Lawyer Jeffrey S. Glassman for a free and confidential appointment to discuss your case. Call 877-617-5333.